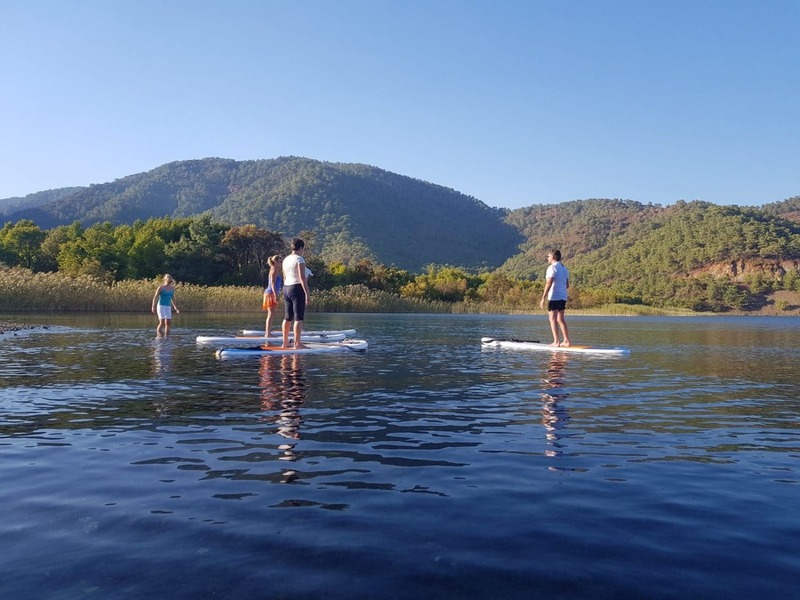 Volkan’s Adventures Stand Up at Iztuzu is a brand new and exclusive trip for 2018, combining the stunning Iztuzu Beach with the opportunity to partake in paddle board yoga taught by a trained professional licenced instructor, this experience is one not to be missed. 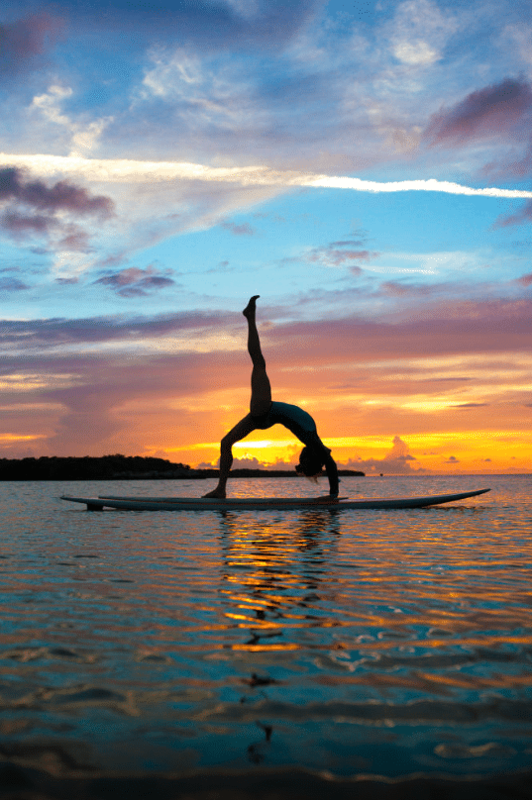 Stand Up Paddle Board yoga is one of the newest and most innovative variations of this exercise technique, enhancing all the balance, posture and core strengthening skills at the very heart of yoga in your commanding ownership of the board. 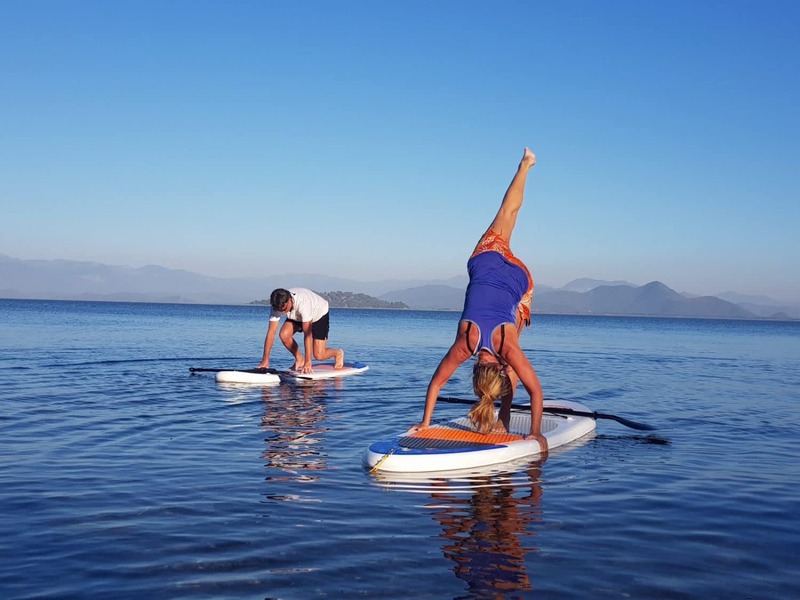 Paddle Board Yoga is a unique type of activity which can be enjoyed by beginners through to experienced yoga enthusiasts, bringing mind body and spirit together as one in the calming waters that surround you. 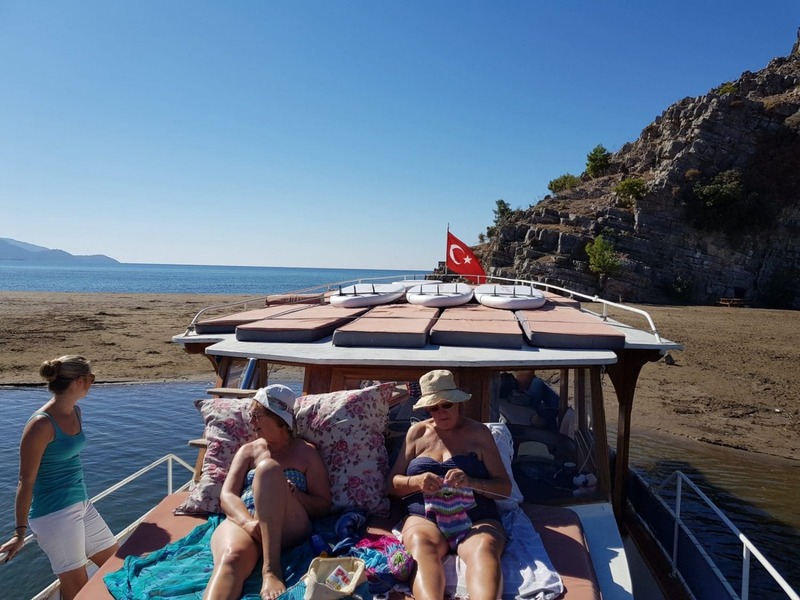 Our day will begin at 8am as we board our boat at Dalyan harbour, upon which you will enjoy a light delicious breakfast of fresh yoghurt, fruits and cereals with unlimited tea and coffee. 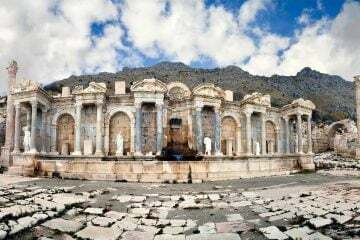 We will then begin our journey towards the magnificent Iztuzu Beach, travelling along the delta through Little Dalyan, marvelling at the spectacular scenery and wildlife that so beautifully surrounds us. 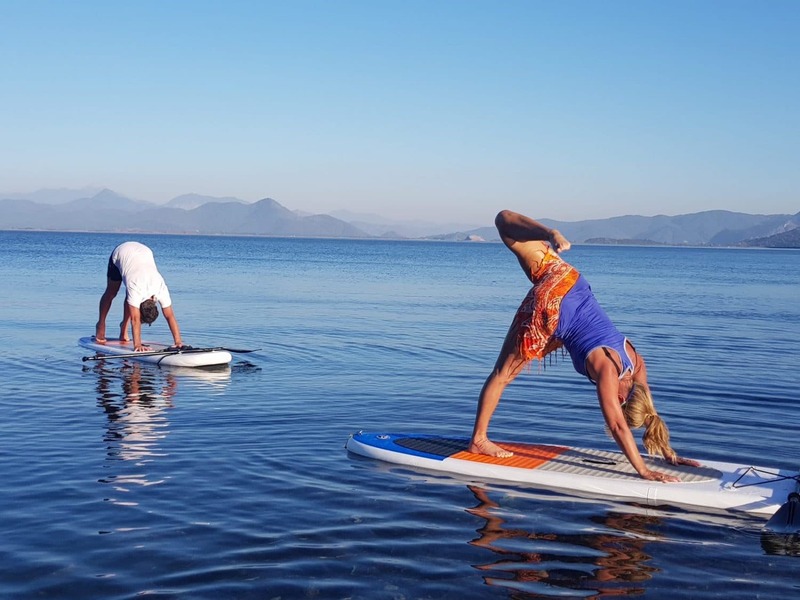 On arrival at the beach, those that wish to participate will then have the opportunity to embrace the water and engage in the 60 minute stand up paddle board yoga session. 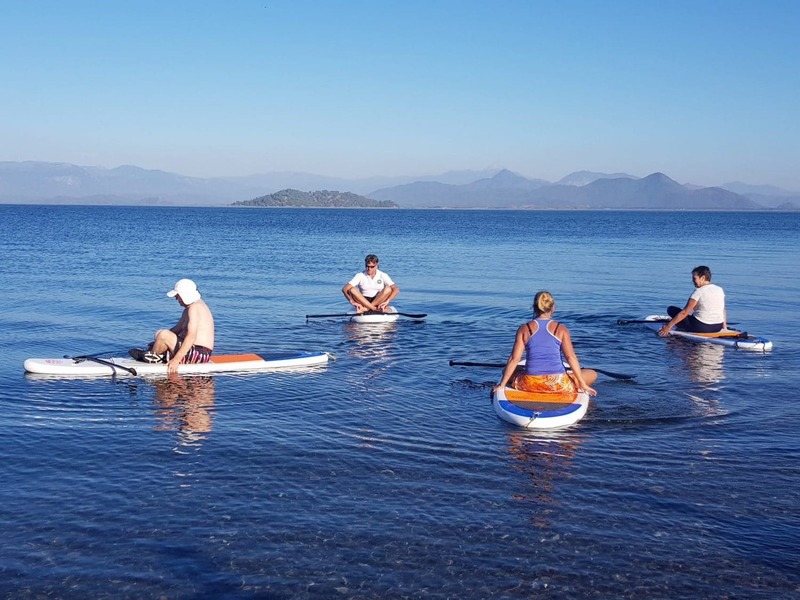 With the breathtaking scenery as the perfect backdrop, our instructor will work methodically with you as you begin to familiarise yourself with the equipment and increase your confidence in posture stability. Although you will be in the water, for safety reasons the depth at our chosen location will be no more than waist height. 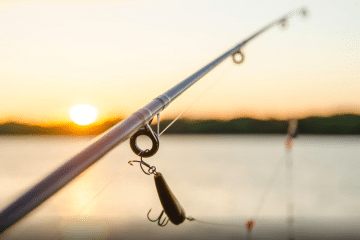 The one hour lesson will be taught at a pace to suit you – as there will be no more than 8 students at a time there will be every opportunity for one on one tuition to ensure you get the maximum sense of accomplishment from your experience. These boards are incredibly sturdy and to master them is easier than you may think – however do not be disheartened if you fall off – no one expects perfection first time round! Should you wish to refrain from the paddle board activity you can relax and sunbathe on the spacious top deck of our fabulous boat, read, swim in the warm soothing water, or simply quietly observe the lesson from the comfort of your sunbed, and place your bets on the first to land in the water! 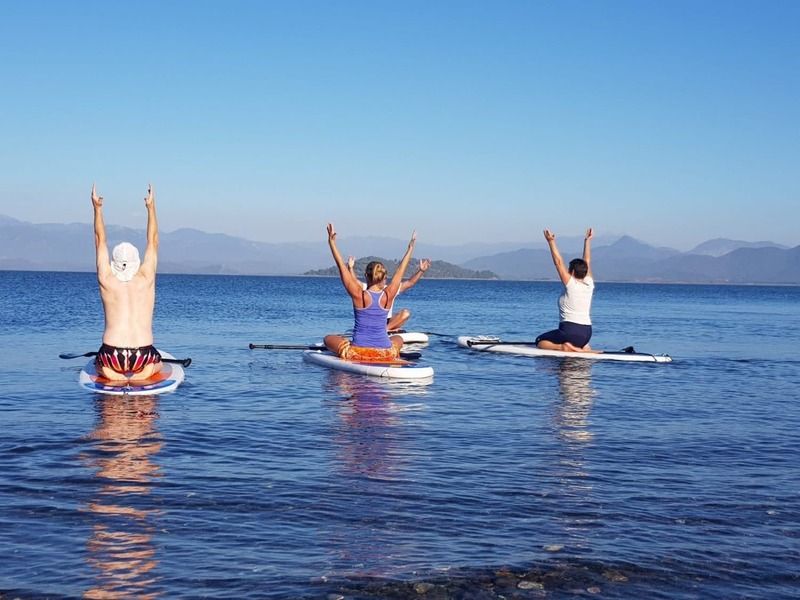 Once the yoga session has been completed, we will depart Iztuzu Beach and journey towards the Ala Gol (Volcanic Lake) where we will anchor down and enjoy our lunch. This volcanic lake has several natural hot spots throughout where the water is warmer towards the bottom than it is at the surface – immersing yourself in this unique surrounding is a perfect way to unwind whilst your meal is being prepared. We offer a bbq lunch of chicken and meatballs or fish accompanied by a huge range of freshly prepared home cooked mezzes. Vegetarian and vegan options can of course be available (Imam Bayaldi is one of our favourites) and we can cater to all dietary requirements if requested. We will aim to return back at the harbour for around 2pm, leaving you the rest of your day to continue enjoying your well deserved relaxation in the sun. DEPARTURE TIME Please be ready by 7.30 AM for a prompt departure at 8:00 AM. The boat and crew are delightful. Excellent food. Yoga instructor is experience and gave us lots of confidence. Beautiful location and falling in is fun. Definitely give it a go!